The public data set for residential construction in 2011 was released in June of this year. It shows that more than one in four single-family starts occurred in the South Atlantic—a division that includes a strip of seven states on the East Coast, stretching from Delaware to Florida — plus West Virginia and the District of Columbia. Second is the West South Central Division (Arkansas, Louisiana, Oklahoma and Texas) with just over 20 percent. 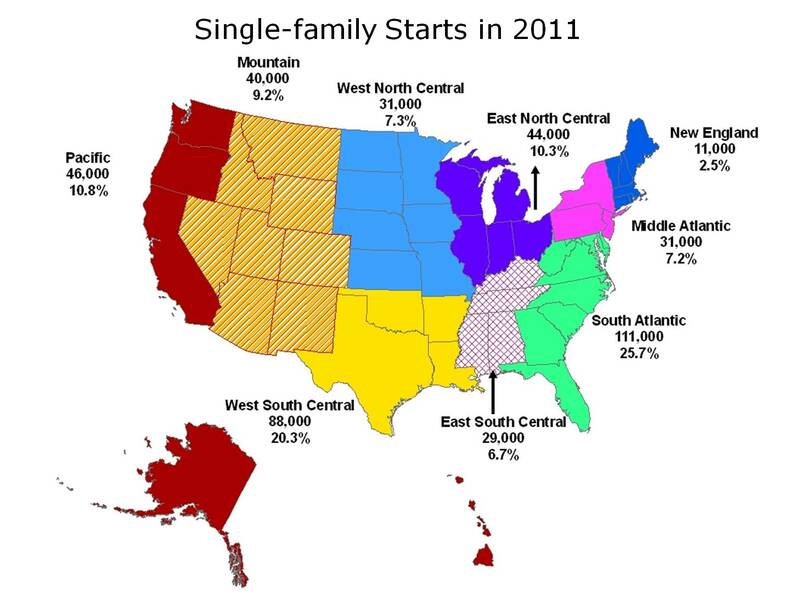 Each of the other seven divisions accounted for less than 11 percent of single-family starts.